"Pre-construction. To be built." WELCOME TO AN EXTRAORDINARY RESIDENCE! 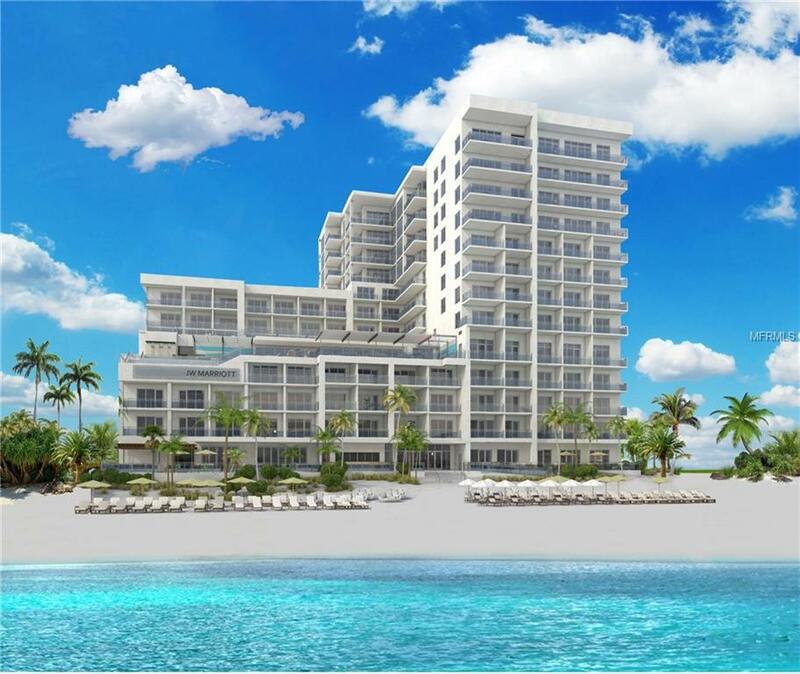 For a limited time, the developer of JW Marriott Residences Clearwater Beach is offering private residences in a new luxury resort located on pristine, exclusive, powder-soft Clearwater Beach. Immerse yourself in an elegantly appointed environment of luxury, surrounded by incredible views of the Gulf waters and the resorts private beach. With award-winning sunsets, miles of pure white sand, and a signature spa, relaxing will come easy. Warm and artfully conceived, your residence offers you a place to call your own; while you take in the area, delight in the views and make extraordinary memories. Influenced by the captivating turquoise waters of the Gulf of Mexico and blending harmoniously with your lifestyle, these remarkable resort residences provide everything you can think of and more, including access to state-of-the-art fitness and wellness facilities complemented by a spa designed for your wellbeing and rejuvenation. Enjoy some quiet time at the infinity-edge pool, or take in the energy of one of our culinary experiences. Enter your private residence and be immediately swept away by refinement, generous space, inspiring water views, replete amenities and attentive service. Welcome home to the JW Marriott Residences Clearwater Beach. Welcome to a resort that understands your most precious gift time. Welcome to a place that delivers rare, luxury living experiences and rich, lasting memories.